We always marvel at the ways FINCA clients use their loans, whether stocking a home-based shop, starting a neighborhood school, a beauty parlor or a fishery. Money is such a fundamental necessity that having it (or not having it) affects almost every aspect of a person’s life and her chances to get ahead. FINCA provides millions of loans around the world; each one opens a world of opportunities to live better. Through BrightLife, FINCA increases access to solar energy products and we are seeing much of the same thing. Just like money, energy is a fundamental necessity. And, like money, energy touches people’s lives in countless ways. 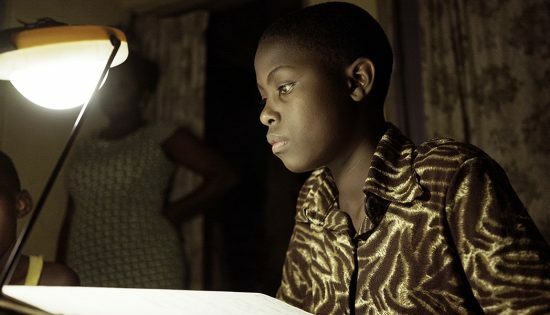 The value of a solar lantern is not measured by the light that it provides, but in all the things that having light enables people to do, like running a business at night, raising chicks or supervising their children’s homework. Because our goal is to help people achieve healthier and more productive lives, FINCA believes in having strong impact measurement practices. We start by delving into the varied ways that our customers are actually interacting with our products and the quality of that experience. Laboratory standards like brightness and battery life are important, but they don’t tell us how the products are performing where it counts the most – in the reality of daily life. 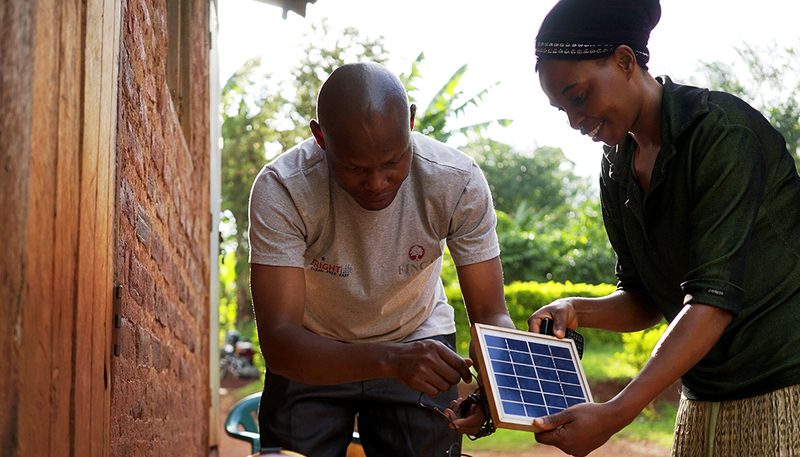 With the support of the Peter Gilgan Foundation, we recently launched an impact study by conducting focus group discussions with customers who have BrightLife solar lanterns and solar home systems. About 50 customers who have used the solar products for over 18 months participated in the meetings, telling us in their own words about their experiences. First, our customers spoke extensively about the many ways that having energy has improved their lives at home, starting with better safety, health and sanitation. Solar lighting allows them to avoid open fires and smoke, to chase away rats and other pests, and to keep their walls and ceilings clean. Kerosene no longer spoils their food and they sleep better at night, knowing that the safety of light is at hand whenever they need it. I wake up earlier in the morning and have a more productive day because there is enough light in my house now. Clients also mentioned that their days are longer and more productive. They feel better informed because they can read newspapers in the evening. Meanwhile, keeping their phones continually charged helps them stay connected to friends, family and customers. They also spoke of the pride they feel when they can provide light for community events, like weddings and funerals. With solar energy, our village is lit-up just like a town. Knowing how resourceful FINCA clients are, it was not surprising to hear that they are using solar lanterns to earn extra income – often in creative ways. They told us that solar lights make their market stalls more attractive to customers and enables them to extend their working hours. Some enterprising people use solar energy to charge the cellphones of their neighbors, which earns them some social capital — and often a small fee. We collect the lamps in the community and use them in our local school for night classes. We also learned about a practice that we’d never heard of before: using the lanterns to capture flying ants, which are roasted and sold as a seasonal treat in Uganda. Placed at the bottom of a hole, the lanterns attract a swarm of the tasty creatures, which are easily trapped by throwing a cloth over the hole. Even better, using a solar light means that they don’t spoil half their haul due to the fumes of a kerosene lantern, which is traditionally used for this purpose. Armed with this feedback, we are getting ready to go into the field with a quantitative survey that is designed to quantify the impact as it was described by our customers. We will use the survey data to measure client outcomes in frequency, magnitude and importance. This will give us a rigorous fact-base to shape service-delivery, so we can help our customers continue to light up every corner of their lives.